EAST LANSING---The adoption of major changes to the Michigan High School Athletic Association transfer regulation was among notable actions taken by the Representative Council during its annual Spring Meeting, May 6-7, in Gaylord, in addition to the selection of the Association’s next executive director announced in a previous release May 8. The revised transfer regulation will go into effect for the 2019-20 school year, based on a student-athlete’s sports participation during 2018-19. The new transfer rule will make transferring student-athletes ineligible for one year in any sport played during the previous year at the previous school – unless that student-athlete’s situation fits one of the current 15 exceptions that allow for immediate eligibility. However, the revised transfer regulation also allows that transferring student-athlete immediate eligibility in any other MHSAA-sponsored sport not participated in during that previous year at the previous school. The Council approved a number of recommendations by respective sport committees that will alter the tournament setup beginning this fall. In ice hockey, the Pre-Regional system of tournament assignments has been eliminated; all teams will instead be organized into traditional Regionals, 24 total with no more than eight teams assigned to each. In boys lacrosse, a game will end when an 18-goal margin is reached any time after the completion of the third quarter; the 12-goal differential that starts a running clock during the second half will continue. In soccer, beginning with the 2019 season, the first round of District games will be required to be played the week before the current District week on that Wednesday, Thursday or Friday. District Semifinals and Finals will be scheduled for the following week – but Saturday games can be used only as a weather backup during the District round. To better assist with scheduling and provide transportation relief, the Council approved a number of adjustments to the non-traditional draw policies for District and Regional tournaments; non-traditional draws do not require all contests be played as a designated host site, assisting primarily teams that might be located far from their tournament host but closer to their opponent(s). 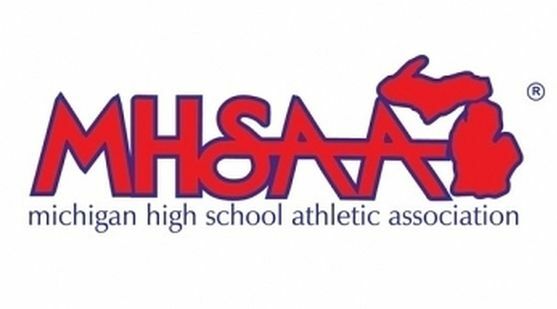 For the 2018-19 MHSAA Basketball and Volleyball Tournaments, non-traditional draws will be mandated for Districts made up of (a) all Upper Peninsula teams, (b) a combination of Upper and Lower Peninsula teams, or (c) seven or eight-team District grouping in any location of the state. In Districts with circumstances (a) and (b), a traditional draw may be conducted if all participating teams agree to that format. At the Regional level, any that include more than one District located in the Upper Peninsula will require geographic neutral sites be used. The Council also authorized a work group to review all aspects of non-traditional draws and all affected sports and report at the Council’s Fall meeting this Nov. 30.